Disqus is a simple to use comment system. You will also like to show your recent comments on your Blogger blogs. Here is tweak for you to install disqus recent comments widget in your blog. There are many comment system available to use on Blogger platform like IntenseDebate. But I like Disqus Comment system the most. By using this commenting system you will get any features like comment moderation, comment by email, comment using social media platforms etc. You can go to disqus.com to know how to add this comment box in your site. This post is for one who already installed disqus comment system on their blog. If you are using recent comment widget on your blog than you should have found that disqus comments aren't appearing there. In that case you will need to use the recent comment widget provided by disqus. First, Log in to your Blogger Account and click on the Blog Title on which you want to add this widget. After that go to the Layout page from your Blogger Dashboard. In the Layout/Elements page click on Add a Gadget link. Clicking the link will open a pop-up where you can many gadgets and widget available to use in Blogger platform. Now add the following codes in the Content. Important: You will need alter a little in the above given to make it work for your blog. 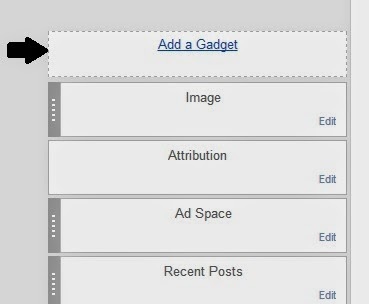 See the following steps to make the above given widget code to work perfectly on your blog. You will need to replace spicytweaks in the above code with your disqus shortname. You might get some errors after clicking on Save Template button as the above code isn't a correct XML. To solve this error just replace & sign in the above code with &amp; and everything will work smoothly. You will not get any errors now. You can save this widget by clicking Save Button. You can also control the number of comments to be shown in the widget and various other things. See some tweaks explained below to customize this widget. To change the number of comments to be shown in your disqus recent comments widget, change the value of num_items in the above given code. By default, it is set to show five comments. If you want to hide moderators comments than change the value of hide_mods to 1. You can also hide the avatars shown in the comments widget. Just change the value of hide_avatars to 1. You will surely want to change the size of comment avatars. To change the size, change the value of avatar_size from 50 to the size you want in your comment avatar. By default, it will show you full comments in the widget. If you want to show summary than change the value of excerpt_length from 0 to your desired summary length. If you leave it 0 than it will show you full comments of that user. That's All! If you have followed the above given steps carefully than you will successfully add Disqus Recent Comments Widget on your Blogger blog. If you need help than feel free to drop a comment below.